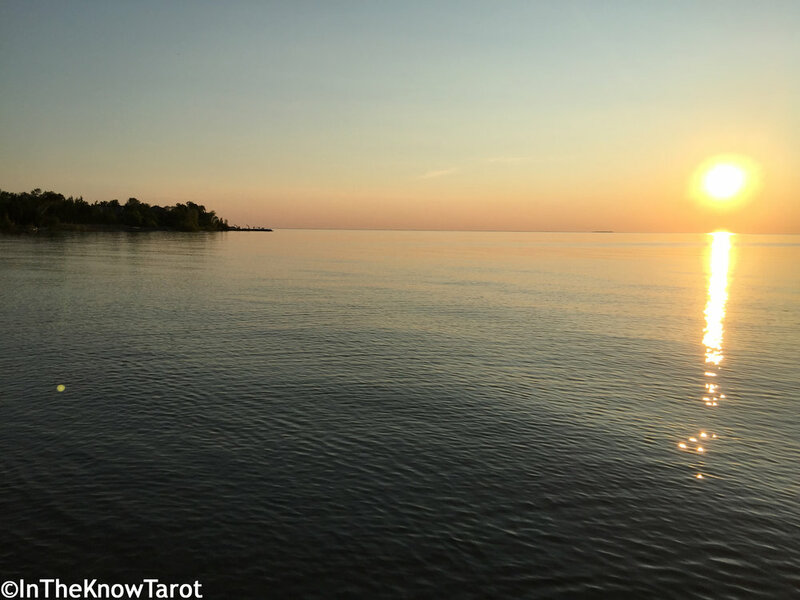 This page describes the detailed processes of the professional services and readings provided by InTheKnow Tarot LLC, a business located in Appleton Wisconsin USA that provides tarot readings and numerology consultations. I assist people with decision making processes, I help calm and ground those that are distressed, and I both reassure and reaffirm the resiliency of my clients as they face their challenges. I heavily emphasize freewill choice, and how today's decisions and attitudes create tomorrow's future. I utilize tarot to bring those decisions and attitudes into focus, to increase awareness, and to help people rediscover their sense of personal power. I'm compassionate and gentle with those that need nurturing, but also give "tough love" advice to those that need a nudge (or shove) in the right direction. I'm a counselor to those that need to unpack their mental/emotional suitcases, a co-strategical planner for those that need a game plan, and a cheerleader/motivator for those that simply need a boost. First we will begin by my ascertaining your motivation for booking a session. Once you share that with me, I will propose a plan for flow for our time together. You will either confirm that this plan will fit your needs and desires, or notify me whether or not we need to reformat the plan and place our attention more toward other concerns. 15 minute tarot sessions are good for quick check-ins on one or two questions, or for one general overview and a brief follow-up question. 30 minute tarot sessions generally work well for a general overview, calculation of your personal numerological year, and an average one to three questions (depending on whether you want me to deliver "just the facts" and move on, or if you want in-depth psychological analysis and strategic planning). 45 minute tarot sessions generally work well for a general overview, calculation of your personal numerological year, and three to five questions, again, depending upon the rate of speed and delivery you would like your answers. 60 minute tarot sessions generally work well for a general overview, calculation of your personal numerological year, and five to seven questions, again, depending upon the rate of speed and delivery you would like your answers. For every question, I will check in with you regularly to ensure the information I'm presenting makes sense, and is applicable to you and your situation. If you have difficulty finding the beating heart of your question, or are unsure how exactly to frame your question, worry not. I am an absolute pro at finding the right focus and phrasing for people's concerns, and I will assist you in crafting your question. Sometimes, especially in general overviews, I may or may not personally understand what I am describing. If I do not, I will tell you. The good news is I don't have to understand what I'm talking about in order for the reading to work. It's possible that it's simply not my business, and that the information is truly meant specifically just for you. Besides, no one really cares if I personally understand what I'm talking about. The only thing that matters is that it makes sense to you! In every way that I can anticipate, I strive to make every session client-driven. I may be doing the analysis, but I do whatever I can to help assure the client they are helping to co-pilot our time together, and that the flow of the session rests in the client's hands.